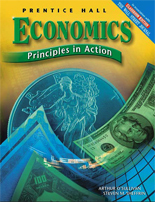 Economics: Principles in Action is a multi-dimensional, comprehensive high school economics program designed to help students of all abilities achieve a fundamental understanding of key economic principles and their application in the real world. 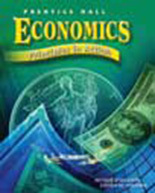 Twenty key economic concepts - developed by The National Council on Economic Education and outlined in the Voluntary National Content Standards in Economics - are introduced and reinforced throughout the program. 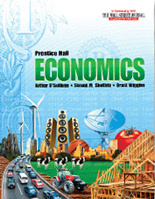 At the heart of Economics: Principles in Action is demonstrating the relevance of economics to students' lives. 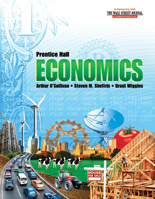 From case studies and videos to interactive CD-ROMs, the program clarifies key economic principles and help students understand the connections between those principles and everyday life.